ALM Octane supports OData (Open Data Protocol), the OASIS REST-based standard for accessing data. 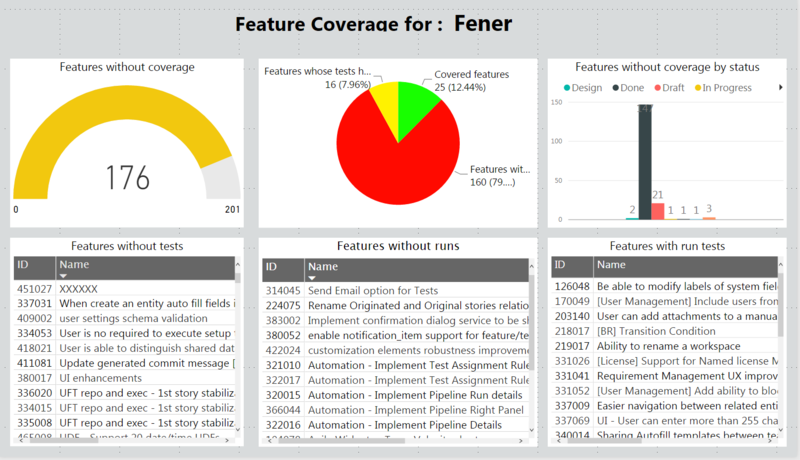 You can use OData to extend and improve reporting capabilities, above and beyond the functionality provided by ALM Octane dashboard widgets. Microsoft Power BI is one of the tools that consumes data from ALM Octane using OData. This Microsoft Power BI template shows an example of a dashboard that access ALM Octane data and includes several pages of reports. 1. Enable OData for your ALM Octane (see the ALM Octane User Guide for instructions). 2. Install Power BI for Desktop. 3. Import this template to your Power BI. 4. When the Power BI template is deployed, you are prompted to insert parameters according to your environment.